Consecration to the Divine Heart of God the Father in English, French, Italian, Latin, Maltese. The Consecration Prayer to the Divine Heart of God the Father Encompassing All Hearts in multiple languages. Available in ebook edition. Votive Mass of the Divine Heart of God the Father: Texts and Lectionary. The Votive Mass of the Divine Heart of God the Father: Texts & Lectionary comprises selections from the Roman Missal, 3rd Typical Edition and Mass Lectionaries (Vols. I & II), 2nd Typical Edition, for use in the Dioceses of the United States of America. This Votive Mass, with its accompanying Lectionary, is offered as a convenience to those private persons who wish to celebrate this temporary Votive Mass with suggested readings. Publication of this particular Texts and Lectionary of the Divine Heart of the Father constitutes a first in the history of the universal Church. The Mass of the Divine Heart is composed of authorized Mass texts, with several options for each text and the Consecration (Seal) Prayer to the Father, all of which have been selected specifically to express the love of God the Father for humanity. It is hoped that through this Votive Mass, which was ultimately the work of the Father, His Divine Heart and universal Fatherhood will be celebrated everywhere in the world, in accordance with the deepest desire of His Divine Heart. 56pp. The third, revised edition of the new Devotion to the Divine Heart of God the Father, provides the vital Consecration (Seal) Prayer to the Father for our present and forthcoming times. Complete details about the Seal of the Father, its importance for our times and its meaning for the salvation of souls are given, as in the Book of Revelation. The desires of the Father’s Divine Heart, the seven aims of the devotion, and the formal prayer format for cenacles to the Almighty Father are presented. Full details and the meaning of the diptych, ecumenical, revealed icon of the Divine Heart are provided, which icon the Almighty Father requested be made and enshrined in His honor. Selected messages from God the Father, given from 2010 through 2012 that, together with Scriptural evidence, are the basis for this devotion are included, as well as messages from Jesus Christ, the Holy Spirit, the Virgin Mary and Archangel Michael. Previously unpublished and new messages, a thorough elaboration of the aims of the devotion and meaning of the icon components, a reproduction of the actual icon, and the complete prayers of the Holy Rosary are now available in this book. 148 pp. Also available as audiobook. Deification is the process of man becoming god and attaining theoria, seeing God, after purification of the heart and illumination of the heart of the soul have ensued through baptism in the Holy Spirit, as understood throughout tradition. Deification from this life, not solely the next, is the desire of God for mankind in accord with the words of Christ and Peter, “I said you are gods” (Jn 10:34) and “partakers of the divine nature” (2 P 1:4). 56pp. Also available as audiobook. “The author succeeds in showing us that Christian spirituality is very rich and, by the grace of God, very achievable” – Catholic Medical Quarterly (UK). The Icon of the Divine Heart of God the Father: Apologia and Canon. In The Icon of the Divine Heart of God the Father, the background of the revealed, diptych, ecumenical icon of the Divine Heart of God the Father Encompassing All Hearts is presented, together with the related Consecration (Seal) Prayer to the Almighty Father. The icon apologia and canon are elucidated. The ecumenical importance of the icon of the Divine Heart for the universal Church is addressed, together with the basis for the icon in Sacred Scripture and Tradition, as well as its meaning for our present times and eschatological future. The aims of the icon, history of God the Father in iconography, and pertinent Church Council decrees are explored. The history of the first icon of the Eternal Father in the Catholic Church is given, with evidence of the Divine Paternal Heart, including Scriptural evidence, and the history/revelations of this second icon of the Father in the Catholic Church. A summary theology of the Divine Heart icon is outlined, with reference to the liturgy, Catholic/Orthodox mysticism, the era of the eighth day and deification of man, the universal call to holiness, and the de-Christianization of our times. 108pp. Also available as audiobook. In The Divine Family, the lived experiences of the author with the Members of the Divine Family and others are presented openly in print for the first time. These experiences occurred from 2010 through 2012. Written predominantly in a dialogical narrative style suitable for believers and non-believers alike, the author chronicles first-hand some of her personal experiences with the archangels Michael and Raphael; demons and Satan, the Virgin Mary, Jesus Christ, the Holy Spirit and God the Father. Topics include a comparative description of the archangels, the reality of Hell and Satan together with the power of consecration to the Almighty Father; the power of sacramental confession, various descriptions of the Virgin Mary, including Her incomparable motherliness, Her power against evil spirits and the unparalleled beauty of Her singing. Descriptions of Jesus Christ include His actions during the illumination of conscience, His presentation by the Father, the immeasurability of His love and the process which ensues between the Father and the Son when the former speaks. The description of the Holy Spirit portrays Him as a pillar of sweetness and love. Descriptions of God the Father include His manner of being during the illumination, how He is in relationship as a Father, His tirelessness in seeking out His children, the intimacy He profoundly desires and the infinite love of His Divine Heart. The epilogue addresses the deification of the Virgin Mary according to the early Christians and Greek Fathers of the Church. 86pp. Also available as audiobook. A serious paucity of accessible and reliable literature exists, in a single place, on The Warrior-Prince, Saint Michael the Archangel. Written simply, with icons and a fairly comprehensive bibliography included, derived from both Judeo-Christian scholarship and tradition, this small book is intended to fill that need in relation to the great, humble, but ever-powerful warrior and guardian of the universal Church. The book is particularly suitable for those who do not know the Archangel Michael or who desire to know more about him. According to the Greek Fathers, the Archangel Michael is the prince of the Seraphim and the defender of the Faith. The Mozarabic Breviary establishes Michael’s place in heaven above that of the 24 elders mentioned in Sacred Scripture. 64pp. Also available as audiobook. 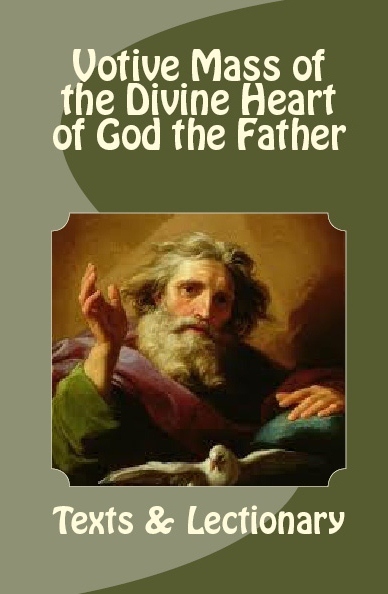 In The Divine Heart of God the Father, 2nd edition, an intimate portrayal of God the Father and His Divine Heart is provided through brief narratives. Topics include how our Father is in relationship with us, the inestimable beauty of His Majesty; His sweetness, softness, gentleness and tenderness as Almighty Father. His profound thirst for union with us, deep sorrow at our distance and urgent call for us to return to live in His Infinite Love. The process of union with God the Father from the heart of our souls to the Core of His Divine Heart is described, from the context of the New Israel and intersecting relationships with the Sacred Heart of Jesus Christ, Immaculate Heart of Mary, the Holy Spirit and the Heart of the Holy Trinity. The tapestry of interplay between our Father’s Divine Heart, Will and infinite love is explained, while the upcoming reign of the Father in the Eucharistic Era of the Holy Spirit is introduced. 106pp. Also available as audiobook. In The Divine Heart of God the Father in Scripture, it is elaborated how God the Father is a divine spirit. Unlike His only-begotten Son, Jesus Christ, who became the God-Man through the Incarnation, the Heavenly Father cannot be said to have a heart in the human sense of the term. Yet, throughout Scripture, the Father has often referred to His Heart within the context of His relationship with humanity. This book provides a factual overview of the 28 references that can be found in Sacred Scripture about the Divine Heart of God the Father, both in the Old Testament and in the New Testament. These references are derived from and presented in a side-by-side comparison from three major Scripture sources, namely the Latin Vulgate, the Septuagint (LXX), and the Masoretic Text (Yahwist Source). Also available in audiobook edition. The Magisterium of the Catholic Church has been much misunderstood by Catholics and non-Catholics alike both throughout history and in present times. Addressing the nature of the Magisterium as defined by Vatican Councils I and II, the Constitution on the Faith, and the Catechism of the Catholic Church, this book provides a factual and easy-to-understand outline of the basic principles of the Magisterium, what it is and what it is not, and its relationship to Christian believers. It also gives an in-depth look at what constitutes the ordinary magisterium of the Pope, as well as the intrinsic nature of papal indefectibility and infallibility. Also available as audiobook. In Can ‘Just War’ Exist?, it is elaborated how Just War doctrine has been a feature of Christianity since ancient times. But can a war ever be just? Addressing the ‘just war’ concept from its formulation in the writings of Saints Augustine and Thomas Aquinas, through Patristics, the Catechism of the Catholic Church, the Compendium of the Social Doctrine of the Church, and the writings of modern Popes including Saint John XXIII and his landmark encyclical Pacem in Terris, this book outlines the slow, but steady, movement away that has taken place from the original concept as postulated by the Scholastics. It also presents the conclusions of postmodern Christian leaders on ‘just war’ including those of Pope Francis, the Patriarch Bartholomew I, and the 2017 Vatican first-ever conference on the subject. Also available in audiobook edition. In Migrants and Refugees in Catholic Social Doctrine, it is shown how migrants and refugees have long been considered vulnerable populations within Christianity, but many, Christians included, remain to this day insufficiently knowledgeable about the specificity of the Church’s views on the matter. Addressing the way in which the Catholic Faith has regarded voluntary and forced migration from the time of Pope Pius XII onwards, this book provides the teachings of the Catholic Church about the fundamental human rights of migrants and refugees, commencing with Exsul Familia Nazarethana, Pacem in Terris, and Gaudium et Spes. These are followed by the writings and speeches of various Popes on the subject, including those of Saint John Paul II, Pope Benedict XVI and Pope Francis, in addition to the more structured teachings on the subject as set forth in the Compendium of the Social Doctrine of the Church. In Is the Death Penalty Just?, it is elaborated how capital punishment has been a feature of society since the beginning of time. But is the death penalty just? Addressing the issue of capital punishment right from the beginning of its appearance in the Book of Genesis in Sacred Scripture, together with the writings of modern Popes on the subject including Blessed Paul VI and Saint John Paul II, this book outlines the slow, but steady, movement away from the death penalty as punishment in civilized societies within the context of the inviolable dignity of the human person. It also presents the conclusions of postmodern Christian leaders including Pope Francis on the death penalty as an unnecessary and particularly barbaric form of torture in today’s world. Also as audiobook. Exploring the question of the Executive Orders titled Protecting the Nation from the lens of Scripture and the teachings and praxis of the Catholic Church, Bartolo-Abela elucidates in this book how race is the key sociopolitical ordering factor at play in the history and current state of America in relation to fundamental human rights and the inviolable dignity of human persons. She explicates the underlying nature and stunning demographics of a newly-defined American alt-right population, and shows how two antithetical forms of Christianity and Catholicism are being actively employed in the United States, at the intersection of politics and religion, to further a multidimensional racial agenda. Bartolo-Abela reminds readers how an effective remedy to America’s conflict does exist in accordance with the Faith and provides recommendations for non-violent change. Also available as audiobook. “Very fair book, needs to be read by those driven in a conservative direction . . . Tribalism and Catholic Social Doctrine simply do not mix. Catholics can surely have nothing to do with the alt-right movement. This book quite rightly tells us to be cautious about the Right” – Catholic Medical Quarterly (UK). In this book are over 390 brief reflections that can be used for daily spiritual growth, about our relationship with God the Father and His Divine Family. Topics include being a child of God, the infinite love of our Father’s Divine Heart, His intense desire for us. The interplay between the Divine Heart, Will and Infinite Love, as well as the Three Hearts and the heart of our souls. More topics are growing in love and holiness, experiencing the peace, joy and happiness of Heaven while on earth, living in the Holy Spirit, and reaching the fullness of our inheritance. The Hope & Life Press Christianity Series is made up of six books that comprise the teachings of the Catholic Church on various topics pertinent to 21st century man. The topics include just war theory from the time of the Scholastics to the present day, the nature of Islam, the hot-button issue of capital punishment, Catholic Social Doctrine about migrants and refugees, the nature and different levels of the Magisterium of the Catholic Church, and the 28 references to the Divine Heart of God the Father that can be found in Scripture. Previously released in separate ebooks according to topic and written in easily comprehensible language, this paperback edition of The Hope & Life Press Christianity Series has been updated to incorporate the latest proclamations of the Church on capital punishment and just war. The book is suitable for both those seeking to learn more about the above topics from a Catholic standpoint and for those looking for a refresher. “Interesting read, very helpful overview of important teachings of the Church . . . The chapter on the magisterium of the Catholic Church was especially helpful . . . There is always a danger that justice and peace issues are seen as ‘liberal’ and pro-life issues are for ‘conservative’ Catholics, but the Church is neither left nor right. I was delighted to read: ‘The natural law itself, no less than devotion to humanity, urges that ways of migration be opened’ to people who have good reasons to leave their homeland. This comes from the great ‘conservative’ pope, Pius XII” – Catholic Medical Quarterly (UK). With large full-color illustrations of the 14 Stations of the Passion and Death of Our Lord, Jesus Christ, to aid in meditative prayer, Stations of the Cross by Hope and Life Press (ed.) offers the reader the true history of this Lenten devotion, together with the beautiful and concise readings and prayers in both English and Latin by Pere Arthur Martin. Suitable for private Good Friday visits by the faithful, the Stabat Mater is given at the end of each station as traditionally practiced. A section on nine famous relics of the Passion, some of them rare, is included in the last section of the book, with a well-referenced history and illustrations.